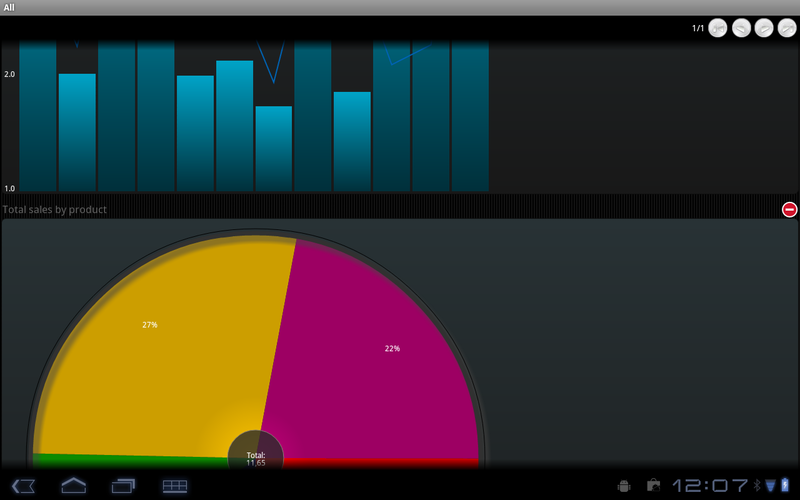 The AX Mobile Catalist component is an extremely powerful view intended for the navigation and consumption of hierarchical information using a robust library of charts. 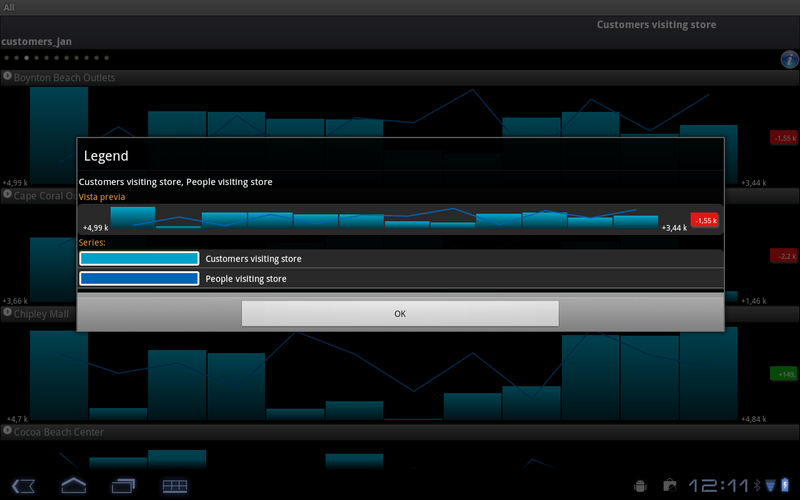 Drill down capabilities take the user from a more general view of data to a more specific one at the click of a mouse. For example, a report that shows sales revenue by state can allow the user to select a state, click on it, and see sales revenue by county or city. Drill down features allow the user to go deeper, into more specific layers of the data or information being analyzed. 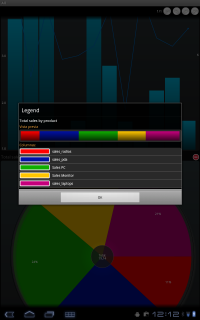 Micro-charts can be swapped with the swipe of a finger, making it easy and intuitive to browse across business measures. 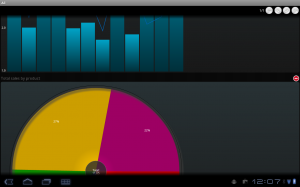 Our robust graphing library includes a line chart, bar chart, area chart, pie chart, multiple series chart, and data table. 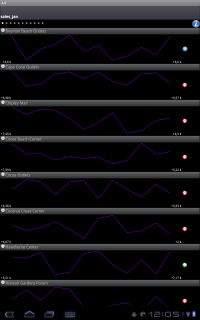 Catalist charts share a rendering engine with the AX Mobile SuperList view. 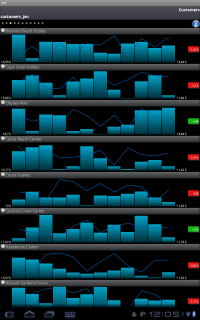 For more information regarding available types of charts, visit the SuperList component article. 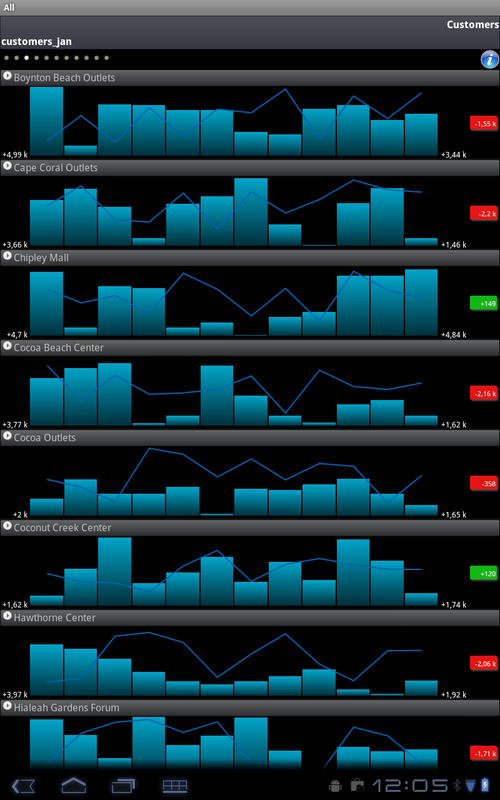 Explore all data associated with a row in vertical mode, thus optimizing the use of mobile device screens. 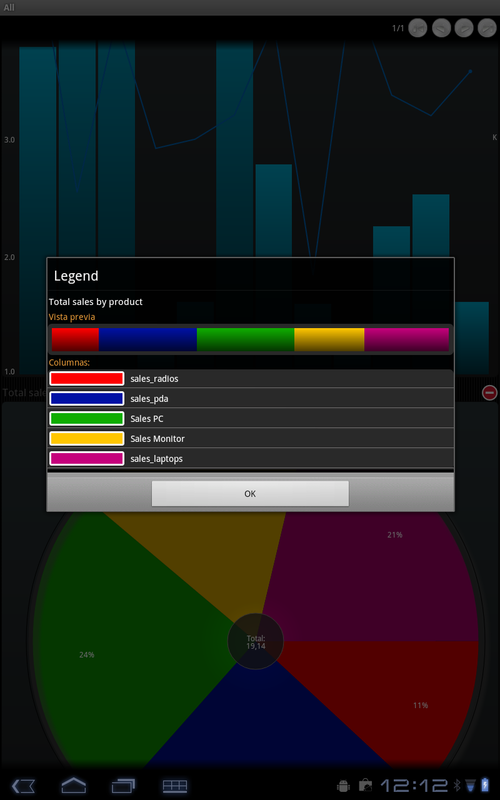 Micro-chart legends quickly identify color assignments while exposing additional options for label assignments, maximizing mobile screen real estate.